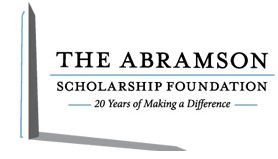 The Abramson Foundation awards scholarships to high school students graduating from Washington, D.C. public high schools and attend college. The American Heart Association is the nation’s oldest, largest voluntary organization devoted to fighting heart diseases and stroke. 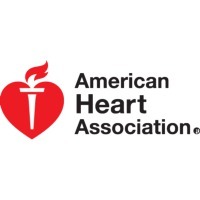 Their mission is to build healthier lives, free of heart diseases and stroke and to improve the lives of all Americans by providing public health education. Arlington Free Clinic provides free medical care to low-income, uninsured Arlington County adults through the generosity of private donations and time given by volunteers. 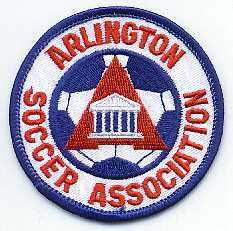 The Arlington Soccer Association offers recreational, developmental and travel soccer. Arlington Soccer Association also provides camps, clinics and other programs throughout the year. Annually, more than 9,000 children take part in Arlington Soccer Association programs. The Boy Scouts of America is one of America’s largest and most renowned youth development organizations. 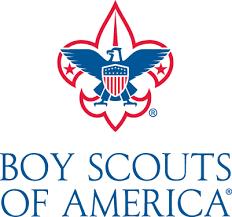 The Boy Scouts of America provides a program for young people for building character, training them in the responsibilities of citizenship, and developing personal fitness. 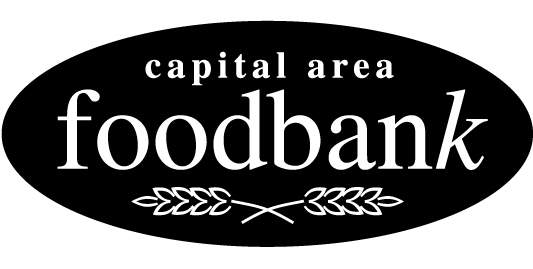 The mission of the Capital Area Food Bank is to feed those who suffer from hunger in the Washington, D.C. area by collecting food and distributing it through its network of partner organizations. The Capital Area food Bank also takes part in the education, empowerment and enlightenment the local community about the issues of hunger and nutrition. The mission of Francis L. Cardozo Education Campus is to create challenging educational and social experiences which prepare students with the knowledge and skills needed to be successful in modern society. Cardozo High School achieves this in its partnership with communities, families, students, staff, neighbors, and businesses. TLA-DC is a volunteer, nonprofit bar association of Washington, D.C. area trial lawyers. The Washington, D.C. Trial Lawyers Foundation is an integral part of the civil justice community. Fair Chance enhances the lives of children in Washington, D.C.’s most underserved communities by selecting promising nonprofits and providing them with free comprehensive expertise in organizational management. Each year, Fair Chance selects ten promising youth-serving nonprofits to build a clear strategy, set priorities, and identify how to measure and increase their impact. Established in 2000, Friendship Public Charter School operates nine campuses in Washington, D.C. Their mission is to prepare students for the challenges of college academics and success in today’s modern global economy. GWAC is a network of female African-American attorneys dedicated to improving the quality of life for people living in the Washington, D.C. metro area. GWAC provides educational programs and community service projects to help achieve this goal. Justice for Vets believes that no veteran or military service member should suffer from gaps in service, or the judicial system when they return to their communities. Justice For Vets helps communities bring together local, state and federal resources to help serve veterans involved in the justice system due to substance abuse, mental illness, or PTSD. 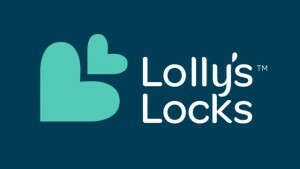 Founded in 2012, Lolly’s Locks is a 501(c)(3) nonprofit organization based in Bethesda, MD. They are dedicated to providing high-quality wigs for cancer patients suffering hair loss as a result of undergoing chemotherapy. The 2015 Annual Night of Fashion will be hosted by ABC News political commentator Cokie Roberts. MVLS provides low-cost and free legal representation to low-income Marylanders. The Maryland Volunteer Lawyers Service also provides free legal help for nonprofits working to strengthen low-income communities in Maryland. Founded in 1925, The National Bar Association is the America’s oldest and largest national network of predominantly African-American attorneys and judges. The National Bar Association represents the interests of approximately 65,000 lawyers, judges, law professors and law students. Neighborhood Legal Services Program has provided free civil legal services to low-income residents of Washington, D.C. for 50 years. The assistance of the Neighborhood Legal Services Program preserves safe and economical shelter, stabilizes family relationships, protects domestic violence victims, maintains access to healthcare and public benefits and breaks down barriers to employment for its clients. The Public Justice Foundation is known as “America’s public interest law firm.” Through creative litigation, public education, and innovative work with the broader public interest community, the Foundation protects people and the environment. The Public Justice Foundation does this by holding the powerful accountable, challenges government, corporate, and individual wrongdoers, increase access to justice, combats threats to the justice system, and inspires attorneys and private citizens to serve the public interest. The mission of the Razoo Foundation is to better the entire cause marketplace by elevating social fundraising practices, and strengthening relationships between nonprofits, donors, and fundraisers. The Foundation’s inspiring generosity covers social fundraising trends, news, and case studies, democratizes traditional development best practices, and provides other relevant information. Established in 1993, the Robert A. Shuker Scholarship Fund to honors the late Judge Robert A. Shuker, Associate Judge of the Superior Court of the District of Columbia. Its purpose is to assist young people few financial resources in obtaining an education. Student Affairs at University North Carolina at Chapel Hill provides programs and services that enhance academic success and personal growth for its 29,000 students enrolled in undergraduate, graduate and professional programs at the University. These programs and services challenge and enable students to become compassionate and responsible citizens and leaders of the campus, local, and global communities by fostering an inclusive, culturally diverse living and learning campus environment. The Washington, D.C. Carolina Club Carolina Club is sponsored by the UNC General Alumni Association. The D.C. Black Alumni Carolina Club strives hard to be a premier alumni club for the more than 11,000 University of North Carolina alumni in the D.C. metro area. The mission of the Association is to improve, benefit and protect the well-being of the legal profession and its members, enhancing its members professional skills, encouraging professional and citizenship responsibilities among its membership, encouraging spiritual and moral values, advancing the science of jurisprudence and the administration of justice. The Washington Bar Association also improves the standards of legal education and encourages legal research and excellence in keeping with the philosophy of Houstonian Jurisprudence. The Willie Stargell Foundation supports research for kidney disease and patient care with funds raised through the annual Willie Stargell Celebrity Golf Tournaments and from generous public and private donations. Celebrity appearances in 2014 included FOX’s “Sleepy Hollow” star Lyndie Greenwood and MLB Hall of Famer and Baltimore Orioles great Eddie Murray. The Youth Leadership Foundation builds character and supports the pursuit of academic excellence enabling youth in the Washington, D.C. area to enhance the trajectory of their lives.